For one person, perhaps the redevelopment of the Bonanza Park district could spur fixing what they see as bad intersections. Another person would like outdoor gathering places and spots for planting. Those were two of the ideas that were left, anonymously, for City Hall on Tuesday evening as officials continue to craft a set of ideals that will eventually be used to regulate growth in Bonanza Park. The district is roughly bounded by Bonanza Drive, Park Avenue and Kearns Boulevard. 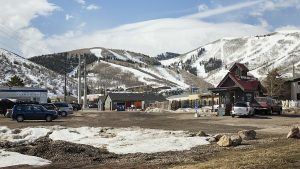 Park City officials are considering a wide-ranging set of ideals for Bonanza Park that they say will lead to a district with a variety of housing options, public spaces and a mix of uses. Critics contend the ideals, which would be outlined in what is known as a form-based code, would lead to further restrictions on development and not accomplish leaders’ goals. City Hall on Tuesday hosted an open house at the Blind Dog restaurant on Kearns Boulevard to gather opinions about Bonanza Park. Approximately 50 people shuffled through, poring over displays describing topics like parking and building heights. 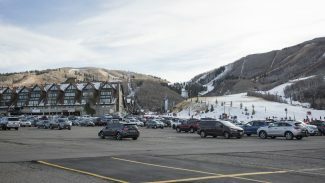 The supporters of a major redo of Bonanza Park see the district as becoming another hotspot in Park City with shopping, dining and entertainment. There are worries, though, about pricing people out of Bonanza Park and whether the buildings will fit alongside the existing ones. Some of the people provided anonymous comments on oversized sheets of paper available for people to write their opinions. "Can we ‘fix’ the bad intersections." "What about all the empty stores around the city." "Implement a bike ‘rental’ program w/kiosks in BoPa, Old Town, etc. AND/OR shuttle/trolley service that transports people around/within BoPa and to resort(s) and Old Town," with the person referring to Bonanza Park with the abbreviated BoPa. Another person questioned how much money City Hall spent on consultants. One of the people who left a message indicated they may move to Bonanza Park from Jeremy Ranch someday. 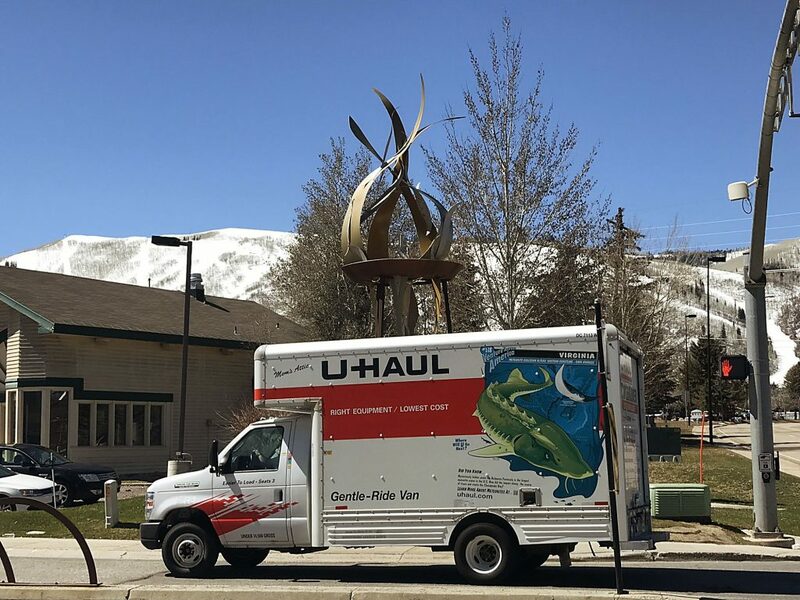 "I envision moving to BoPa from Jeremy Ranch when I am an empty-nester — want walkability, 2 bedrooms, mixed use right outside my door (grocery, restaurant, retail, culture, green space)," the person wrote. 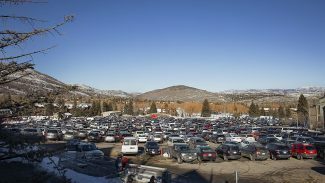 One of the attendees on Tuesday evening, Matt Schiller, manages Park City Ski Boot in the Iron Horse district. He said he is worried about the ability of small businesses to remain as Bonanza Park is redeveloped. "The biggest concern, or the reason we’re here, is to make sure existing businesses don’t get pushed out," Schiller said. He is worried about small businesses "that might not be able to fit into the new model." "I think it opens the door for non-local, non-intrinsic businesses," Schiller also said. The open house drew City Hall leaders, including Mayor Jack Thomas, Park City Councilor Cindy Matsumoto, and a roster of municipal staffers. Business people or property owners with interests in Bonanza Park and people who live in the district were also in attendance. The event continued an outreach effort undertaken by City Hall as the municipal government attempts to explain the ideals for Bonanza Park to a wider audience. Officials have also presented the ideals to community groups. 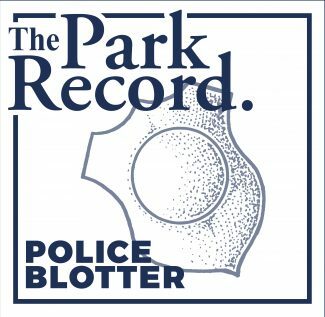 The efforts come in the weeks after the ideals received sharp criticism from a range of Parkites in the fall. Christy Alexander, a City Hall planner assigned to the Bonanza Park talks, said staffers continue to meet with individual property owners about the ideals. She said the open house attracted many people who had not been involved in the talks, including younger people. "The more we get out in the community, different groups, there are different views and opinions of this," Alexander said, adding that people are looking 50 years into the future as they form opinions about Bonanza Park. The Planning Department tentatively wants the City Council to discuss Bonanza Park and a form-based code at a meeting on Dec. 16. It would be a special meeting dedicated to the topic. Alexander said staffers plan to present digital models of Bonanza Park at the meeting. They will include models showing Bonanza Park as it is now, the district as it could look if it is developed under City Hall’s existing rules and how it might look if it is developed under a form-based code.